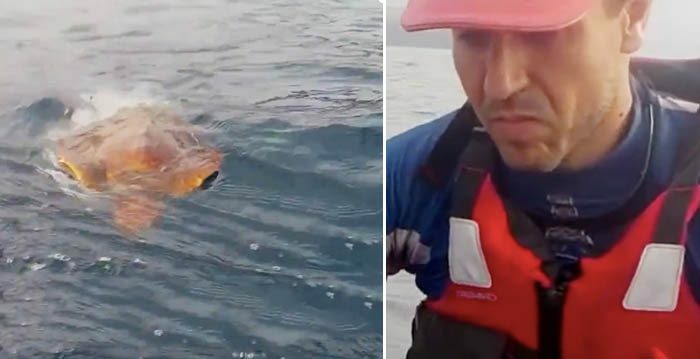 The two men were out on their kayaks off the coast of Gran Canaria, Spain, when they came across a strange-looking creature trying to swim toward them. 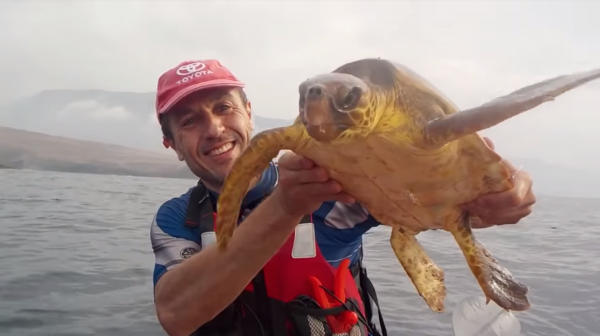 On a closer look, they realized it was a turtle caught in netting—literally wrapped in plastic, the marine reptile approached the two men as if it was looking for help. The kayakers could see it was suffering and struggling to survive. 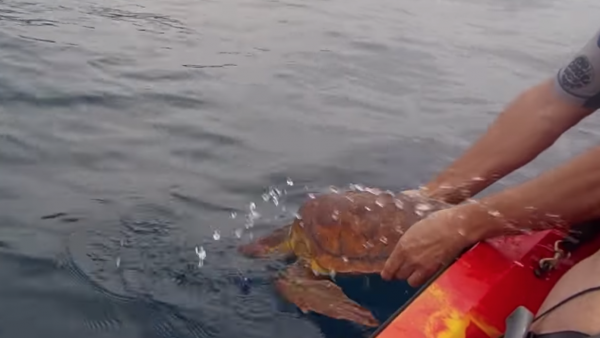 One of the men grabbed the turtle, placed him on the kayak, and with his knife cut the poor creature free from the net. The turtle seemed to sense it was being helped, and was quiet and cooperative. Once the plastic net was removed, the man gave the creature a kiss on the head and set him free. 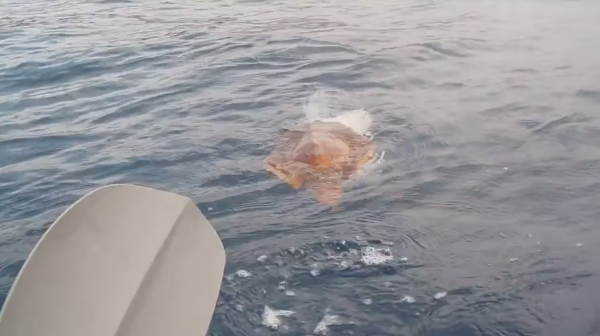 This majestic animal could once again swim freely without the plastic waste bogging him down. 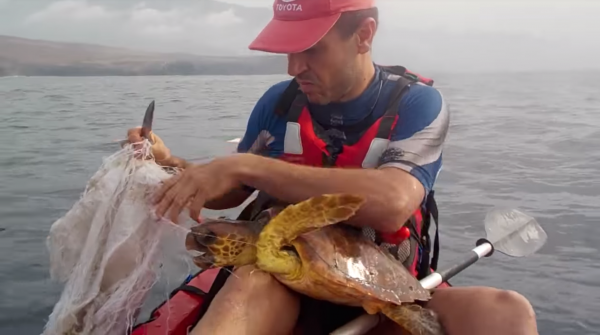 Sea turtles are not only facing the threat of being caught in plastic waste; they often ingest plastic bags they mistake for jellyfish and die because of it. This turtle was lucky to come across these two kind men who were only too happy to give it a helping hand. Unfortunately, many more sea creatures don’t receive such help and suffer needlessly—and the credit goes to we humans who are indiscriminately polluting the environment! The creature was tangled in a lot of line.